When I first moved from Georgia to Hollywood, I had no idea what to expect. But, I was excited because for the first time since I was thirteen, I was going to be living with my older sisters, Angel and AnnaLynne McCord. I was thrilled! When I arrived to Hollywood, bright-eyed and bushy-tailed, my sister’s career as the star of 90210 was just beginning. I began working as her assistant, helping to empower her with a dream to be a successful actress. We rented an awesome place in Hollywood Hills, but it wasn’t long before the paparazzi got wind of its location and began stalking it. I went from being a corporate business girl (in a pencil skirt) to being featured on the cover of Enquirer magazine and brushing shoulders with the likes of Morgan Freeman, Jessica Simpson and Katy Perry… all in a matter of weeks! My life was never the same. With photographers documenting your every move, you begin to feel the need to put on a show, be interesting and perfect all the time. I began feeling insecure and intimidated. I felt entirely out of my league. I remembered a time when my sister, Angel and I were leaving the popular restaurant BOA for her birthday. The paparazzi followed us to valet, and as we waited for our car, they asked us question after question, while shoving a camera in our faces. I’m a strategic person, so in times like this, I find myself thinking: what do they want to hear/see? how can I deliver it? The problem with this way of thinking is that it takes you out of a place where you think for yourself. I remember that night, worrying about what to say and wondering if I looked good enough (do I have spinach in my teeth? ), while Angel had prepared a shocker for them (unbeknown to me)… She pulled out an adult toy and told them it was her birthday present. I was like wow. That was it. The thing they really wanted to see. Angel knew what she was doing. She has a great sense of humor and is able to make light of something like that. But, the truth is, that is just not me. The pressures continued when I began receiving movie, TV and reality show offers that didn’t align with who I am or aspire to be. The challenge? I didn’t even know who I was yet! I just knew it wasn’t someone who stripped down or flirted around to get a movie part. My first year in Los Angeles, I was offered a role in a movie. A small cameo with my part written in because they really liked me. I was, of course, flattered! I didn’t think twice about the vulgarity in the movie or my sides, I had a direct offer! When we we sat down at the movie premiere, I began to feel uncomfortable with the movie’s direction and my lines. I soothed myself by thinking: it’s okay, I’m sure people will understand its acting. Well, after years in post-production with distribution deal delays, the movie was finally released on Netflix last week. When I re-watched it, five years later, I was horrified. I have become the positive dreams girl, but with the release date so delayed, it looks like I just filmed a movie, speaking vulgarities that I would never say. Oops! Looking back, if I had taken time to consider my dreams and the boundaries around what I was comfortable doing, I would have politely turned the movie down. Thankfully, at this point in my life, I feel I have finally discovered and am being my authentic self. I know what I stand for, what I care about, and what I want to be known for. It feels incredible! I am so happy I didn’t run in a direction that wasn’t me. I walked… very slowly, until I could see more of the map in front of me. Now, as the co-founder of The McCord List, when I coach or speak to girls who dream of entering the Fashion or Entertainment industry, I always tell them to take the time to be strategic about what they want to be known for. Not just now but twenty years from now. 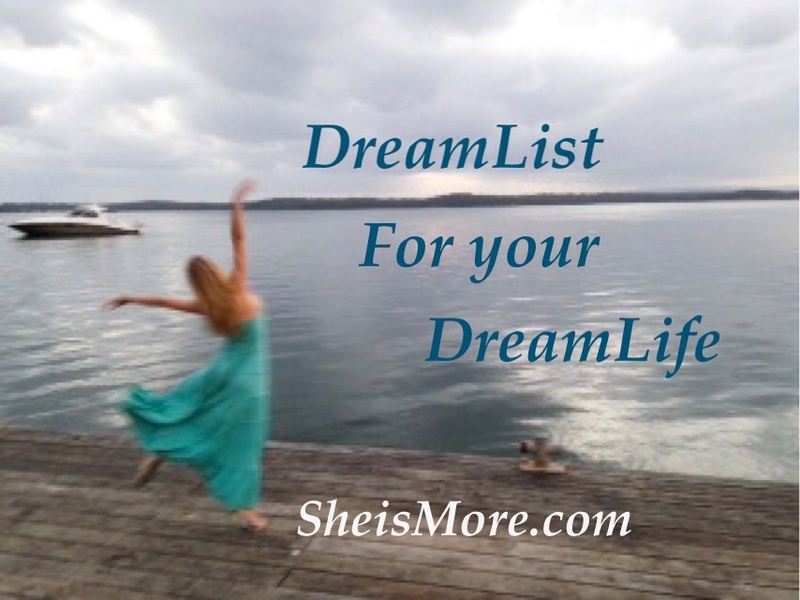 By creating a DreamList for your desired DreamLife, you don’t have to have regrets. You can create a space to be your fullest potential. What is your brand? Being true to your heart, ask yourself: who am I? We can all make mistakes, but when you create a DreamList and strategic plan, you are setting your sail for where you want to go. Think ahead and visualize your DreamLife, and then set boundaries on what you won’t compromise to achieve that dream. Decide now what you want your story to be. That way, when opportunities arise, you are prepared to make mature decisions. Tell the story of who you truly are, in everything you do, and you will always live a happy, fulfilled Life. Listen to your heart and Live The Life You Dream Of! Thank you Rachel ! Your direction is one of great influence for young ladies . Hollywood , college life or pursuing a career can easily find ways that are appealing but can actually prevent you from reaching your dreams. Life is difficult on its own terms let alone the easy distractions of Hollywood. May you touch many lives and live your dreams to the fullest. You are your mothers daughter! She has raised 3 amazing daughters and taught them well! You are a blessing to those lives you touch.